We survey students at two Southern United States universities (one public and one private, religiously affiliated). Using a survey instrument that includes 25 vignettes, we test two important hypotheses: whether ethical attitudes are affected by religiosity (H1) and whether ethical attitudes are affected by courses in ethics, religion or theology (H2). Using a definition of religiosity based on behavior (church attendance), our results indicate that religiosity is a statistically significant predictor of responses in a number of ethical scenarios. In seven of the eight vignettes for which religiosity is significant, the effect is negative, implying that it reduces the “acceptability” of ethically-charged scenarios. Completion of ethics or religion classes, however, was a significant predictor of ethical attitudes in only two of the 25 vignettes (and in the expected direction). We also find that males and younger respondents appear to be more accepting of the ethically-questionable vignettes. 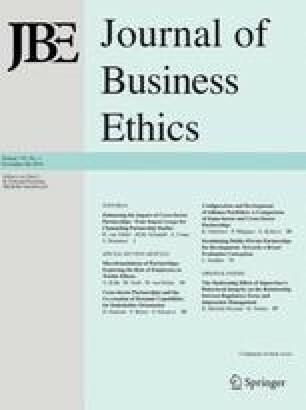 We conclude that factors outside of the educational system may be more influential in shaping responses to ethical vignettes than are ethics and religion courses. 1.Department of Marketing and EconomicsUniversity of West FloridaPensacolaU.S.A.